Once, the kettle hat was one of the most common helmets across all of Medieval Europe. As this Economy Kettle Hat demonstrates, it was an efficiently designed helmet that was inexpensive to make and served well in keeping its wearer safe from harm. 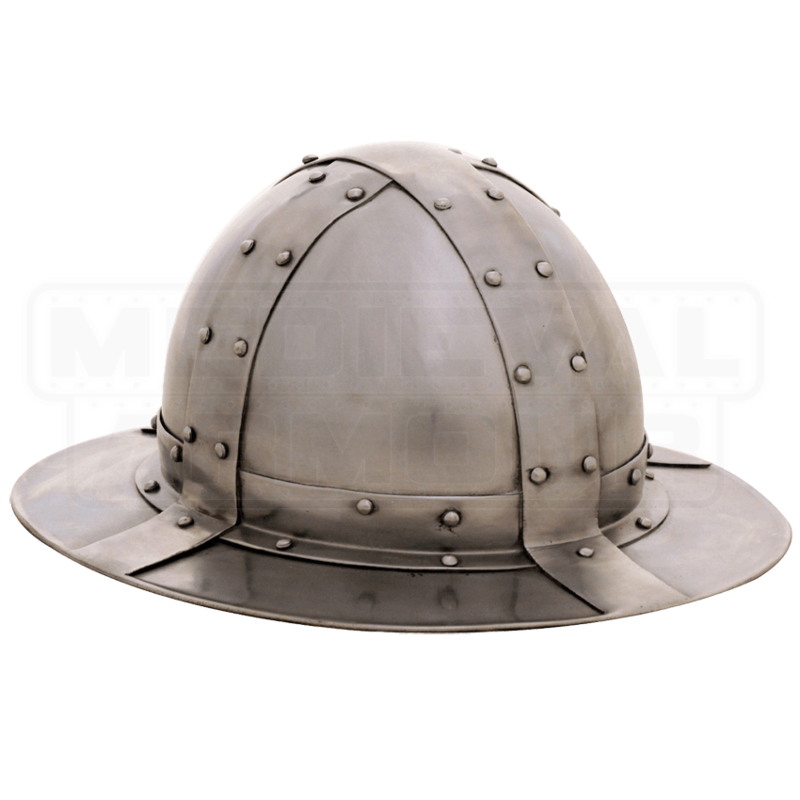 This helmet is made entirely from mild steel, and it is offered in two different gauges. The 18 gauge model is suited for LARPing and lighter combat, while the 16 gauge is thicker and more suited to SCA reenactments. Both models of the helmet feature a reinforced skullcap, with a short brim on the sides that helps protect from projectiles, falling debris, and more. The helmet comes with an internal liner and chin strap, and is offered in one size. 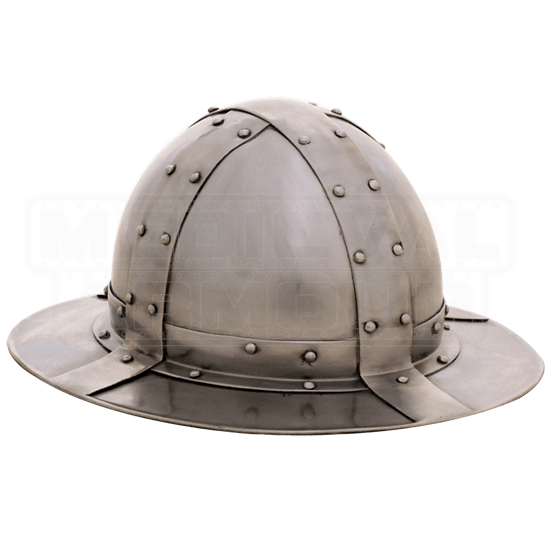 This Economy Kettle Hat is from a line of helmets and armors that are designed to be cost-effective, offering the maximum protection possible for the lowest price possible, making each piece a fine bargain to be had, as well as solid protection to wear.